The Initiation Program is based with the player’s development in mind, starting with basic, technical skills. 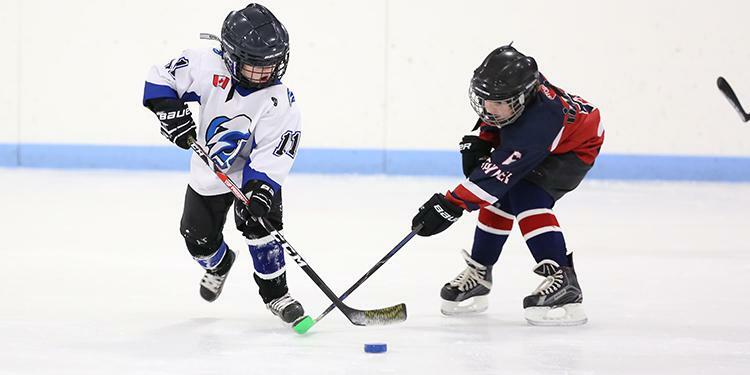 By designing practice and game play that is appropriate to the age, size and skill level of the participant, modified ice hockey offers many benefits. An increased emphasis on skating skills boosts agility, balance, coordination and quickness while the number of puck battles rises. Players receive twice the amount of puck touches and double the number of pass attempts, shot attempts and changes of direction. Since the cross-ice policy became mandated for the Initiation Program by Hockey Canada in the 2017-18 season, there have been questions about how associations can run the program and why this change was being made. Below, we answer some of the misconceptions about the program. 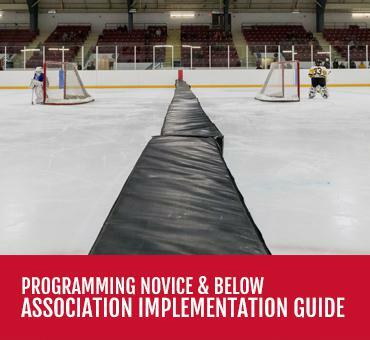 Seasonal structure, game format and gameplay guidelines are all detailed in the Programming Novice and Below Implementation Guide. Learn more about it here. "This is a new program." 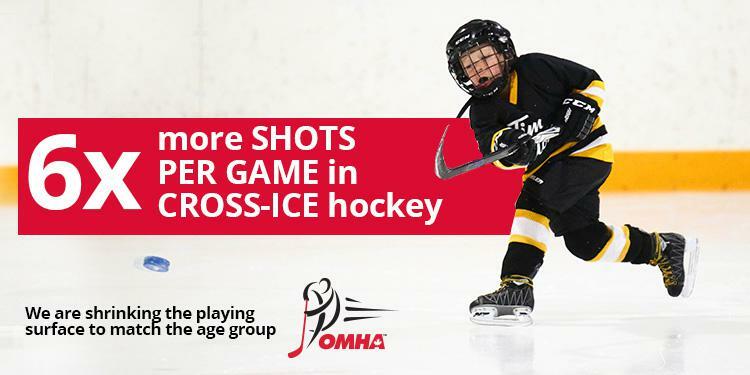 While the policy making it mandatory was issued in 2017, half-ice and cross-ice hockey has been part of the Initiation Program in the Ontario Minor Hockey Association since it was first developed more than 35 years ago. The main goal is to make the beginner’s first impression of hockey a good one! When players get started on a positive note, they automatically enjoy the game and usually go on to have fun playing hockey for many years. At this age, the focus of the players should be feeling confident and comfortable on the ice. Using an age-appropriate playing area helps build a foundation for young players and gives them the opportunity for more puck touches. This promotes greater opportunity for skill-development in puck-handling, shooting, skating, coordination and decision-making. Those are all skills that they will be using throughout their time playing hockey. "Players Aren't Learning the Rules"
Concepts like offside and icing can be taught at an older age. Limited whistles and rules emphasis in the programming allows players to stay involved and engaged in the play. It puts the focus back on the physical literacy part of movement skills while introducing the basic, fundamental technical skills specific to hockey. Just as players are progressively taught body contact and body checking, the same idea is used when teaching the basic rules of hockey. They are still skating, passing and shooting the puck. "This is just for players Novice and Below." There are many NHL teams who use modified ice and small area games during practices to emphasize puck control and working in tight spaces to get around defenders. Small Area Games have been praised by names like Mike Babcock and Auston Matthews. 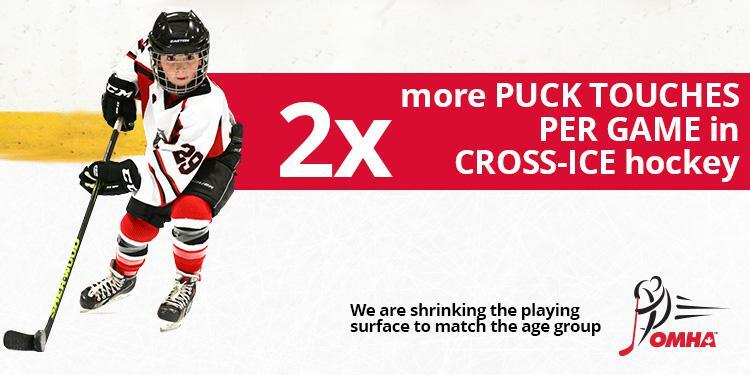 A study by Hockey Alberta indicated that players actually accelerate faster in a cross-ice surface and can still reach top speed. "Players Shouldn't use the blue puck." The Blue Puck is easier to shoot, pass and stickhandle for players in the earlier stages of physical development. Along with the correct stick, this allows the younger, less physically mature player to build confidence and learn the proper technique of passing, shooting and stickhandling in an environment that’s about having fun, not the final score. This increased stickhandling ability also grows a player's creativity on the ice while promoting puck control. Using a heavier black puck with the idea of building strength for players should not be the focus for players of this age. Patiently developing puck skills, like being able to lift it in the air, can be done with a blue puck which, again, builds confidence and the proper techniques in young players. It's not healthy for a young player to develop bad habits with the black puck when they are trying to compensate for how heavy it is. Younger players can experience more success with the lighter puck. "Twice as many kids should be half the price." Players participating on a modified ice playing area are more engaged than if they were on full ice. Organized practices that are station-based and have smaller groups allow for players to participate and stay involved in the action. Players would rather be on the ice for an entire practice doing different drills instead of standing in line waiting for their next turn. They have the puck on their stick twice as much and are involved in five times as many puck battles than on a full-ice surface.